I love self tanners, and I especially love Skinny Tan! 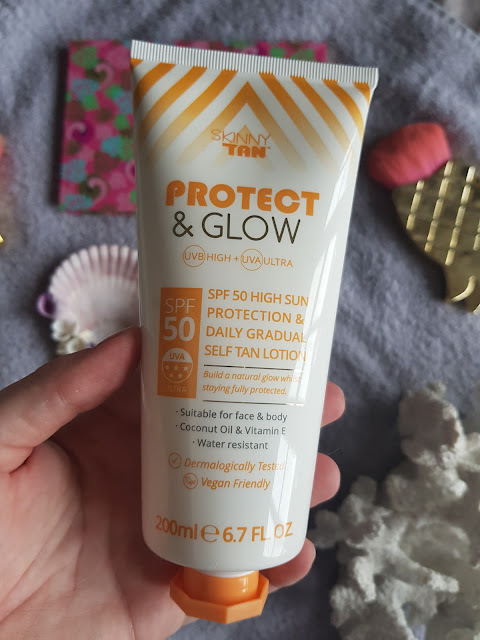 They are so innovative with their products and the Skinny Tan Protect and Glow is just that! You can catch some sun with the product whilst self tanning at the same time. 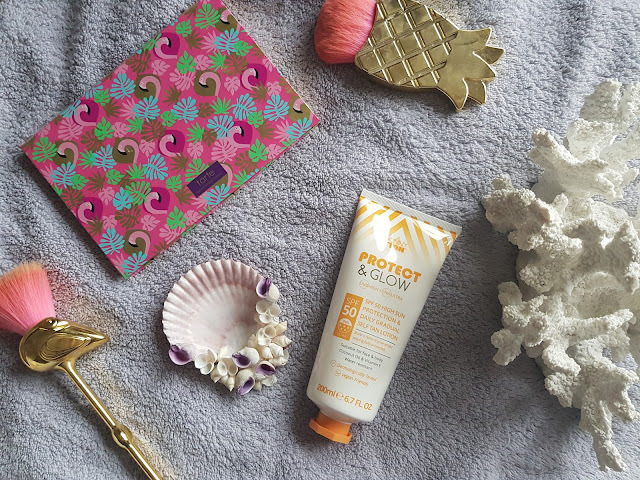 The Skinny Tan - Protect and Glow comes in two options - SPF 30, or SPF 50. 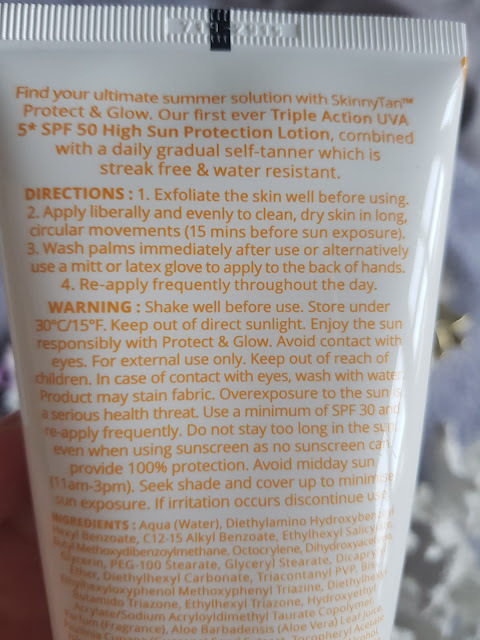 Now the British weather is uncontrollable, back over a month ago when the weather was hot I did crack the Protect and Glow SPF 50 out. And I have continued to use it as self tanner to give me a slight glow. The smell of Skinny Tan products are also a joy to use. 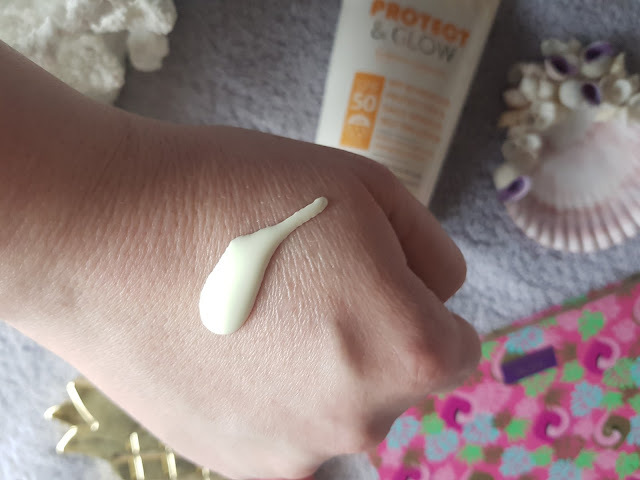 The Protect and Glow SPF 50 is a thick but luxurious cream which sinks into your skin with ease. Streak wise I don't notice much streaking, I do notice if I don't exfoliate correctly I can have build up on my ankles, so make sure you do this prior to you using the product. I love this product, I receive so many compliments on the plumpness and glow I have to my skin. 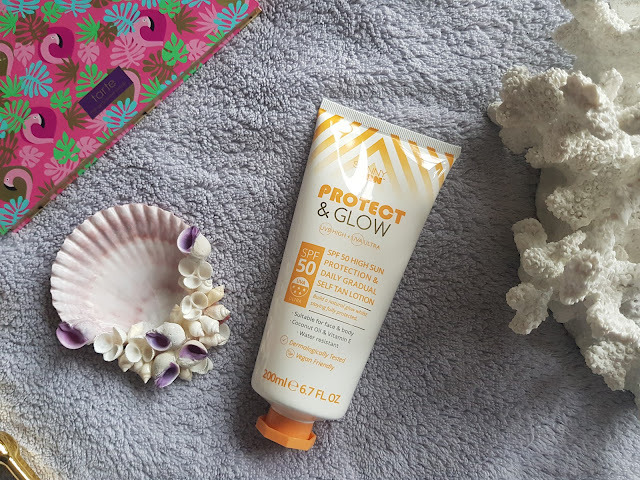 You can pick up the Protect and Glow in SPF 50 and SPF 30 'Here' for £19.99 and you can also get (for this week only) a free 250ml After bronzing gel! So be quick if you are planning a trip somewhere hot. What do you think of Skinny Tan?